DJ Destroyer returns with the third installment of the Strictly Social mixed series. Nu-Soul Magazine's signature monthly event Strictrly Social is the place to be for progressive soul artists and this ecelectic mix of future hip-hop, soul, and electronica is the perfect companion piece. 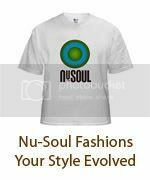 Featuring tracks from an astounding array of artists that have appeared at Nu-Soul events including Wayna, Vice Lounge, Replife, Kisey Asplund, and Sarah White plus renowned artists like Flying Lotus, Erkyah Badu, Q Tip, Black Milk, Dwele, and more, this third mix is truly the sound of Nu-Soul Magazine. 13. SLOW IT DOWN - ROY DAVIS JR.